Fake Food Watch: Fake Food Fears, Circa 1965: Sound Familiar? Fake Food Fears, Circa 1965: Sound Familiar? "The multibillion-dollar refined-food industry has gained such power that it keeps people in ignorance and literally controls the health of our nation. Its relentless radio, television, newspaper, and magazine advertising reaches like the life-crushing tentacles of an octopus into every home. "Half the space in our beautiful markets is given to health-destroying products which fill shoppers' baskets to a frightening degree. Hundreds of magazines and newspapers, depending on advertising income from the foodless food industry, have carried articles and syndicated columns --- clever mixtures of truth, misinformation, and propaganda--- particularly designed to prevent the slightest interest in nutrition from interfering with enormous profits. "... Invariably the propaganda articles state that America is the best-fed nation in the world, that our life expectancy is increasing, and that our diet is better than it was a generation ago, always implying that everyone enjoys maximum well-being. "Americans are the most abundantly fed, but their diet is far from the best nutritionally. Because fewer people die during childhood, millions are reaching their later years, but the life expectancy of a 40-year-old American is near the lowest in the world." ----------- "Let's Get Well" by Adelle Davis, published in 1965. (pages 422 to 423). 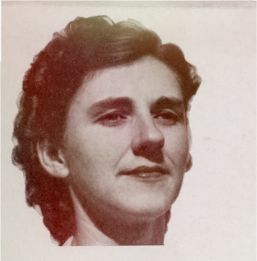 Adelle Davis (1904 to 1974) was an outspoken scientist, nutritionist, and author educated at Purdue University, University of California, Berkeley, and University of Southern California. She wrote four bestselling books: Let’s Cook It Right in 1947, Let’s Have Healthy Children (1951), Let’s Eat Right to Keep Fit (1954), and Let’s Get Well (1965). Adelle Davis was widely derided, though, as a nut, a quack, an alarmist crackpot... and as dangerous. "Although her ideas were considered somewhat eccentric in the 1940s and 1950s, the change in culture with the 1960s brought her ideas, especially her anti-food processing and food industry charges, into the mainstream... She also contributed to, as well as benefited from, the rise of a nutritional and health food movement that began in the 1950s, which focused on subjects such as pesticide residues and food additives, a movement her critics would come to term food faddism." "Linus Pauling (Nobel Laureate chemist) considered Adelle Davis to be 'a pioneer in the health movement. She was essentially correct in almost everything she said.' In 1990, Natural Food and Farming magazine wrote, 'Today’s research shows that she was indeed ahead of her time.'" "One of the pioneers of the movement toward healthier eating, Adelle Davis, raised many food safety and health issues based on her own research. Her views were not accepted by the scientific community at the time. Now the weight of medical evidence, including former Surgeon General Koops’ Report on Nutrition and Health, has vindicated her views."